First published in 1923, this book collects together sixteen essays written between 1912 and 1922 that reflect how the author's views on education became increasingly interwoven with their views on "things in general" — with half dealing with each subject. Reflecting this interweave, they are arranged chronologically rather than by subject due to their "unity of conviction and purpose". 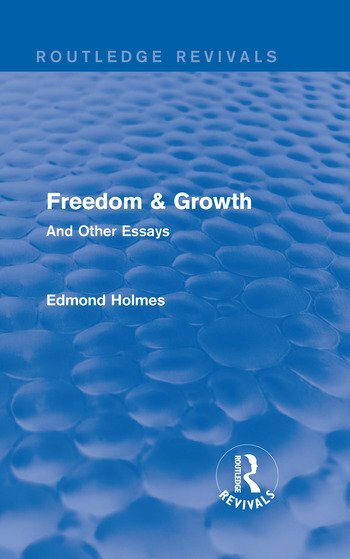 The author argues that the question "Is man free to direct the process of his own growth?" naturally follows from the question "Is man a free agent?" Thus if freedom is inextricably linked to growth it becomes of paramount interest to the teacher and is explored here under a broad range of topics.